The Whale look to bounce back from a 4-0 road loss against the undefeated Metropolitan Riveters on Sunday when they host the Boston Pride. The two teams played down to the wire last month, with Connecticut winning 4-3 in a shootout. Boston picked up their first win last week due to the stellar performance of NWHL Player of the Week Alyssa Gagliardi. With their 3-2 win over the Buffalo Beauts, the Pride tallied a total of 11 goals on the season. The Whale have scored nine goals in five games. Connecticut’s 2-3-0 matches that of the second place Beauts. However, Buffalo edges the Whale out in the standings due to goal differential. At best, a Connecticut win bumps them to second place. However, a loss lands them in last place, regardless of the Beauts at Riveters game later in the day. Kelly Babstock leads the team with five points (1g, 4a), followed by Emily Fluke (2g,2a) and Sam Faber (2g, 1a). A successful outing for the Whale will include more puck possession and a blue line engaged in the offense, much like the Pride got from Gagliardi in their first win. 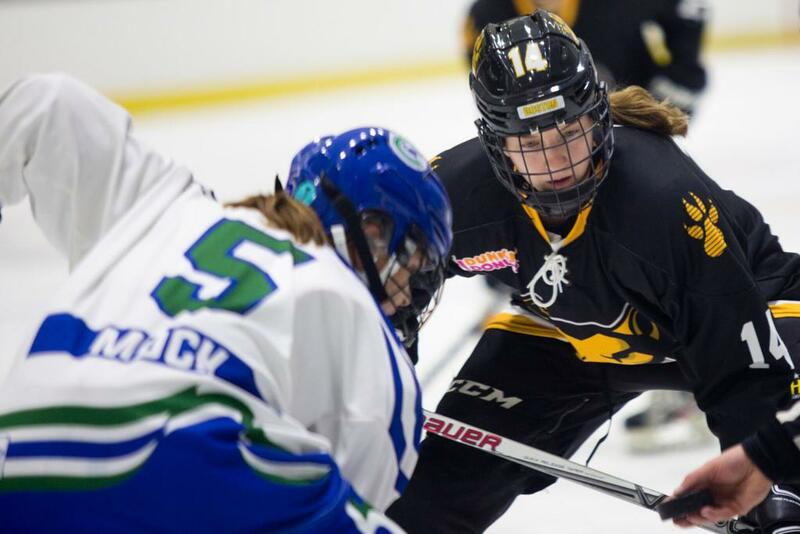 After losing Haley Skarupa to USA Hockey residency, Boston will look for contributions from veterans Jillian Dempsey and Gagliardi. The pair leads The Pack with two goals on the season (tied with Skarupa). Dempsey is now the leader in shots on goal (15), while Gagliardi leads the team in points (5, tied with Skarupa). Watch the Connecticut Whale host the Boston Pride live this Sunday at 2:30 pm. The game will be also be streamed on NWHL Live.